$2309 Contact us to order. 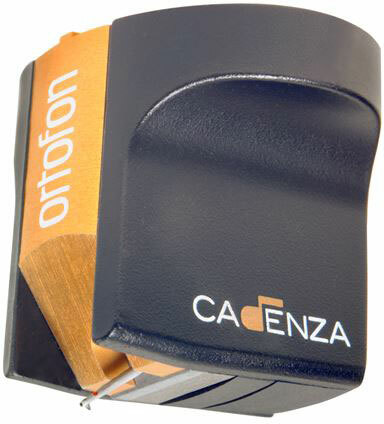 The Cadenza Series moving coil cartridges are capable of extracting detail from the most demanding of records with even greater accuracy and precision. Features include cobalt-iron pole pieces, improved armature winding, and an extruded aluminum housing. The Cadenza Bronze improves upon the Cadenza Blue by adding even more dynamics and resolution. The neodymium magnet system with Field Stabilising Element guarantees a stable magnetic field while minimizing distortion and intermodulation.